What is life if there is not much of a challenge? Certainly it would be extremely boring, and more or less colorless. There is nothing quite like using the brain to try to solve a particular issue or problem without having to have Google do the solving. Well, if you are in the mood for a little bit of mind boggling activity, here is the £24.99 Nanodots that will arrive in original, gold and black shades. The Nanodots is made out of 216 powerful rare earth magnets, which have been touted to be able to lift up to 1,000 times their own weight, now how about that? Not only that, it also offers the all important dual-hemispherical brain stimulation. Basically, the Nanodots are made up of hundreds of tiny magnet spheres that would be ideal for idle thumbs to keep themselves occupied. Should you opt to splice together Newton’s Cradle, the Rubik’s Cube, Silly Putty and bubble wrap, then the Nanodots are what you would end up with. 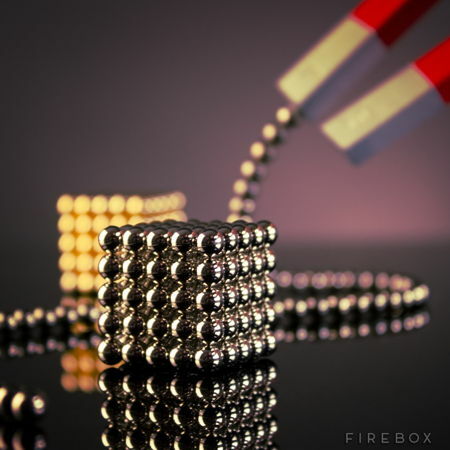 Nanodots happen to be a brilliant boredom buster that consists of 216 powerful rare earth magnets, allowing you to shape, squash, sculpt, pull apart and snapped together in an unlimited number of ways, where this is clearly a case of having to see to believe.